For big ticket vacations that require hefty deposits months in advance, especially for international trips, don’t leave home without travel insurance. Because you never know. Not convinced? Then say these words: “Hurricane Joaquin” or plug in any unanticipated event that might stop or stall your travel – your mother-in-law’s death, your eight-year-old catching chicken pox two days before you board your family cruise, a train strike in Italy or a terrorist attack in Paris. The right travel insurance can cover you for all or some of the non-refundable fees you already paid. And what happens if you break your leg skiing the Swiss Alps? If your current medical insurance is not accepted by the foreign hospital, you may need to plunk down a huge stack of cash in advance before staff treat you. “Basic travel insurance can be as low as $16 a day,” says Matt Pufall, product director of Protect Your Bubble.com, a company that sells travel insurance and rental car insurance as well as policies that protect smartphones, tablets and electronics. On average, budget around 8% of the total trip cost for a policy. Before purchasing anything, however, read the fine print. “Understand the exclusions, the definitions of terms and the limits of the coverage,” states Stan Sandberg, the co-founder of TravelInsurance.com, a site that compares the benefits and costs of travel policies from six companies. Policies can vary widely. If in doubt about whether your situation will be covered, call the provider. 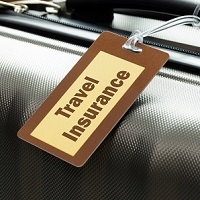 Be aware that travel insurance can vary in different states. To decide how much coverage you need, think about how much money you’re willing to lose by gambling that everything will be fine. Many things can cancel, delay or interrupt your trip—hurricanes, illness, terrorism. Pay attention to the coverage terms. “Some policies cover children age 17 and under for free,” says Pufall. Some policies will refund only 50% to 75% of your down payment. Most policies require you to notify the insurance company at least 24 to 48 hours in advance of your departure. Trip cancellation, delay and interruption insurance also covers you for your illness and that of an immediate family member. If your ninety-year-old mother has a stroke three days before your European vacation, you should be covered. If suicide bombers blow themselves up in a Paris suburb within 30 days of your departure or your arrival in that city, then you qualify under terrorism insurance. The caveats: the U.S. State Department has to declare the incident a terrorist attack and the geographical area has to be in the zone defined by the policy. In the Paris example, in some policies all of Paris would be covered plus a one-mile perimeter around the city. However, you would not be covered if you canceled your trip to Nice, 580 miles from Paris. Consider medical insurance for all those things you don’t ever want to think about. Policies that cover medical reimbursements for hospital costs and treatment as well as medical evacuation to a qualified facility are especially important when traveling overseas. Your domestic coverage may not be accepted overseas and, even if it is, some foreign hospitals and medical evacuation companies want money upfront before assisting you. Caveats: Decide whether you want primary insurance, the first used in an incident, or secondary insurance, coverage that pays out later after your primary coverage is applied or declined. Most medical insurance excludes pre-existing conditions for 60 days (some have longer exclusionary periods) prior to departure. Do you plan on bungee jumping, parachuting, sky diving or backcountry skiing? If you break your arm or otherwise get hurt, you may not be covered unless you purchased adventure sports insurance. “These activities have a higher risk so they are typically covered under special policies. These policies often include coverage for any special equipment,” says Sandberg. For solo travelers, being confined to a foreign hospital can be especially confusing and lonely. Some policies pay for transportation for a loved one to visit you if you are or will be hospitalized for more than seven days. “We will pay the cost of a single round-trip economy ticket and up to $250 per day for five days for expenses for hotels, meals and local transportation for one person to visit your bedside, provided you are traveling alone,” says Pufall. This policy is not just for would-be travelers who cannot make up their minds, although those vacationers are covered too. Think about life’s changes. You book your expensive 12-day safari to Botswana nine months in advance to take advantage of frequent flyer miles, but five months later, you change jobs and no longer have 12 days of vacation. You plan a honeymoon a year in advance, but break up three months before the wedding. Life just happens. This insurance covers you, but it is expensive. Pufall estimates that, on average, insurance that allows you to cancel for any reason insurance costs 50% more than other insurance.